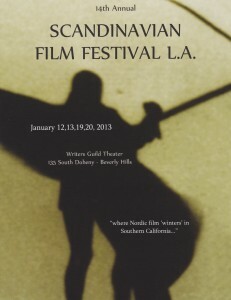 The Scandinavian Film Festival LA is one of my favorite local Scandinavian events. I’m always eager to see what Norwegian films will be screened at the annual festival and I look forward to absorbing myself in my native language. Usually, I need to run the list of films by my parents who live in Norway to see which ones they recommend, but this year there was no need for that. 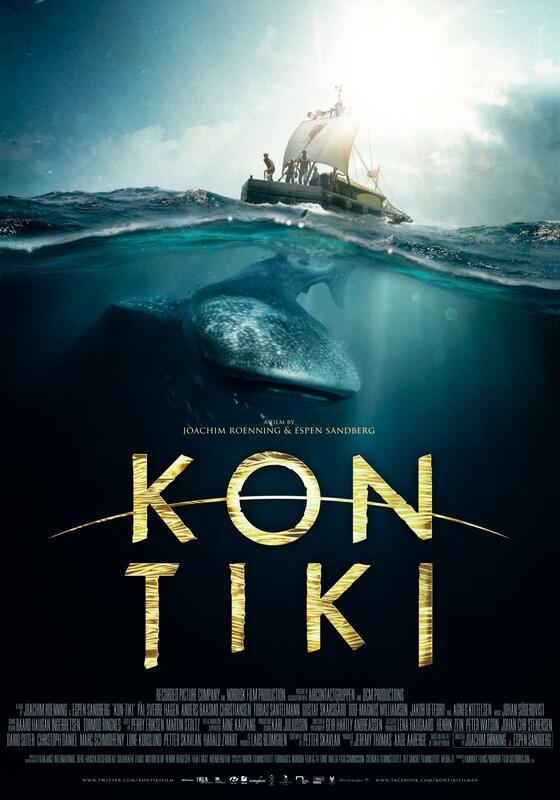 I had heard about the movie Kon-Tiki long before I saw it would be at the festival. It had been nominated for a Golden Globe and had made the short list for an Academy Award nomination (and then did become one of five films nominated). Kind of exciting that a Norwegian film gets that kind of recognition. Also, I’m familiar with the topic. I’ve visited the Kon-Tiki Museum in Oslo several times. I’ve taken out-of-town guests and also my own kids. I certainly wanted to see the Norwegian film that had made it this far in the film world and was now so close to home. We weren’t able to get a babysitter so my husband stayed home and I recruited a girlfriend to come with me. It was the first night of the festival and we had tickets to attend the Opening Gala before the film. Though I had seen movies at the festival in previous years, I had never been to an opening gala and didn’t really know what to expect. I just knew there would be “a buffet of traditional Scandinavian delights and drinks”. The buffet turned out to be just Swedish meatballs, mashed potatoes, pickled herring, salad, and rolls. It was certainly traditional Scandinavian fare but not “delights” in my mind nor the variety of food I associate with the idea of a buffet. But it was tasty and satisfied our hunger. Apparently, there were some passed hors d’ouvres as well, but we have no idea what they were because they were gone when we arrived. There was also a huge, impressive looking cake, but I have no idea when that was served. I didn’t see anyone eating cake before the screening, and afterwards everyone was leaving as far I could tell. As the start time for the movie approached, the anticipation and excitement grew. The directors Joachim Rønning and Espen Sandberg, movie’s screenwriter Petter Skavlan, and some actors arrived. Even Norway’s Harald Zwart (Americans may know him as the director of The Karate Kid, 2010) was there. They were certainly given celebrity treatment. Fans and journalists were taking photos and congratulating them on the nominations and interviewing them for Norwegian press. 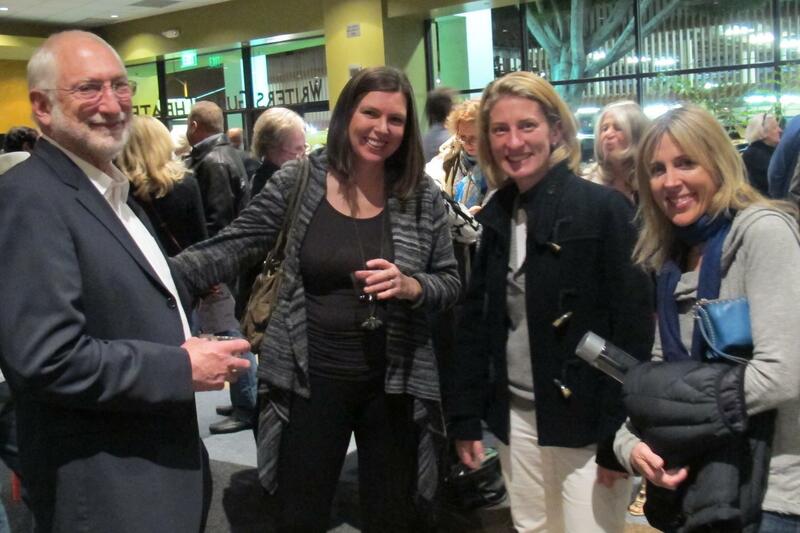 After welcoming remarks from the festival founder/director, the movie opened to a very welcoming and receptive audience. I certainly enjoyed the movie. I knew how the story would end, but I was still kept in suspense along the way. It was interesting to see the trials and tribulations of getting the voyage underway and then to get a glimpse of how life was aboard the raft. There were some amazing scenes of ocean life—a massive whale shark, many great white sharks, bio-luminescent jellyfish, and a variety of colorful fish under and around the raft. It all seemed so realistic so it was especially interesting to read about the visual effects strategies used here. After the movie, there was a question and answer session with the directors, writer, and actors. I think the most interesting part of the Q&A was when Petter Skavlan explained how he was retained as the writer (he had sailing experience and had actually sailed across the Atlantic and understood the man verses ocean scenario, I believe it was). The other questions and answers did not make much of an impression. I did come across this Q&A with Variety which was much more interesting. Check it out here (in English): Variety Q&A with Kon-Tiki Team. It was a fun evening. I’m glad I was able to support the festival. I’m grateful my friend was such a willing (even expressed previous interest in foreign films) and easy-going (we had to sit on the floor to eat our dinner) companion. She was happy to stay through the end of the Q&A. I ran into a friend from the Norwegian Church and enjoyed catching up with her as well. The festival continued the following day and will continue next weekend with feature films, short films, and documentaries from Denmark, Sweden, Iceland, Finland, and even Latvia this year. Unfortunately, Kon-Tiki was the only film I’m able to see this year, but before I know it, next year’s festival will be here. Ser ut som vi må se denne filmen også snart – alle sier den så god.